Please click here to add your project information to the NRRI. 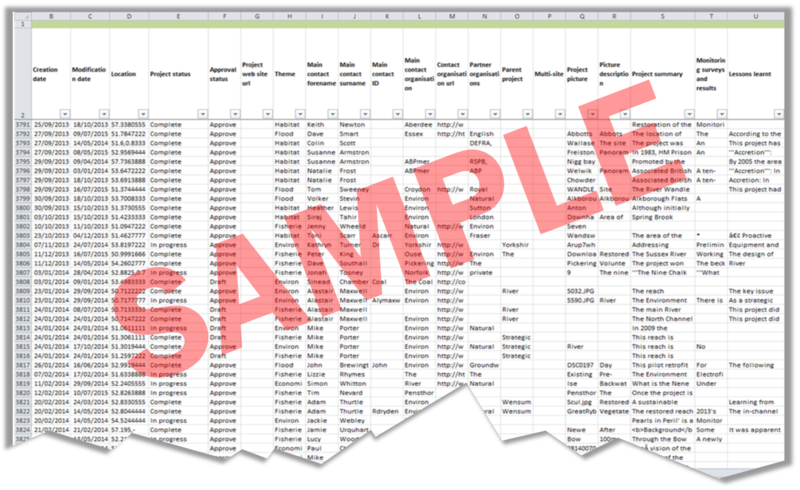 This simple three section form asks you for basic information about your project logistics and techniques used. This has resulted in a mass of information that is ready to be analysed and put to use. 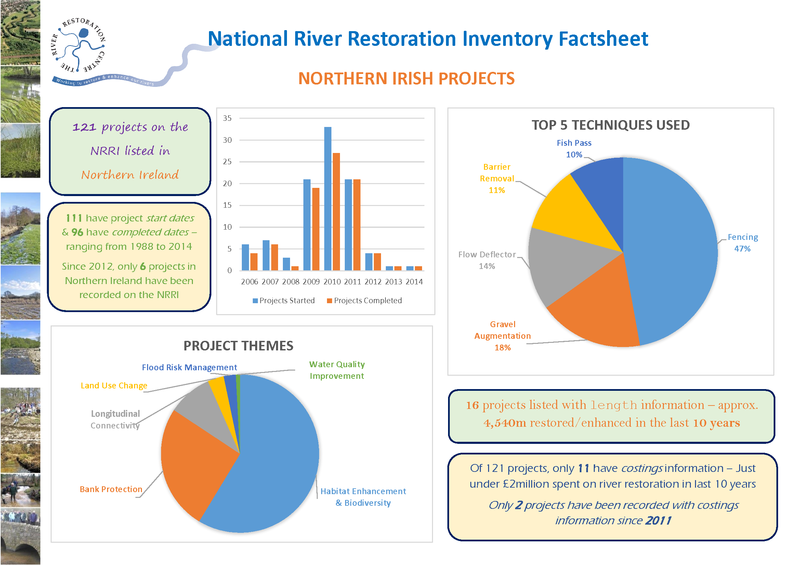 The majority of the projects in the NRRI have information on locations, objectives, techniques, dates, cost. However, a small amount of projects also have additional details for example on monitoring or specific costings. RRC rely on Agencies, Rivers Trusts and other organisations to disseminate information on their projects in as much detail as possible. As a member organisation, RRC are able to offer information from the NRRI to our members. If you are interested in obtaining some information from the NRRI and would like to become a member, please contact us. 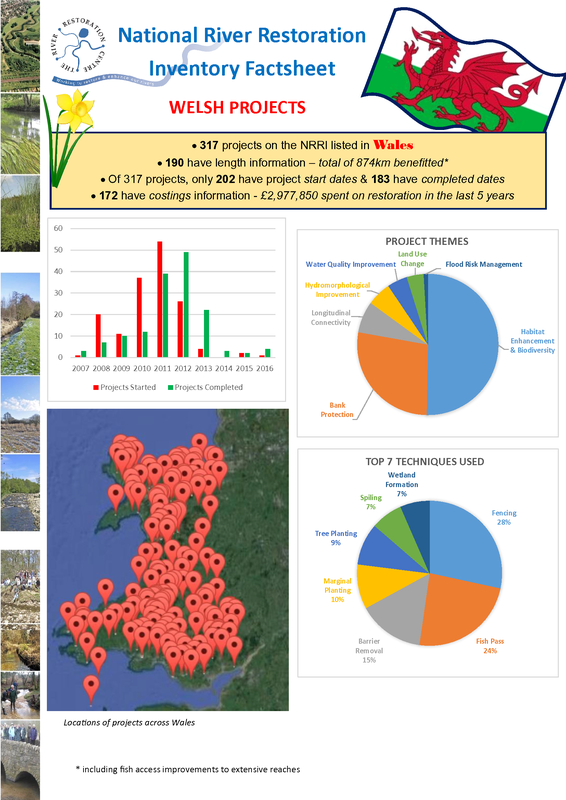 These factsheets are designed to provide information on projects held on the NRRI, from across the UK. We have queried the NRRI Access database to provide you with a breakdown of information held on projects nationwide. 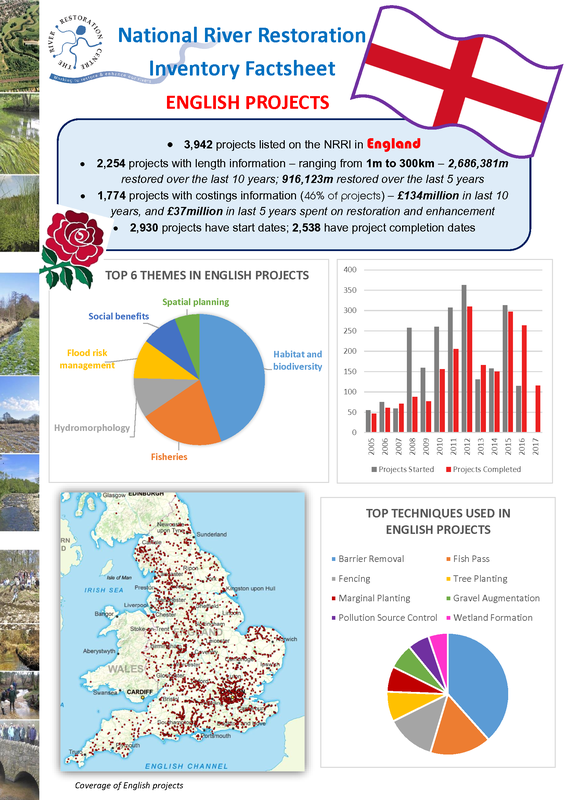 Have a look at the factsheets below and check out the statistics on river restoration projects in the United Kingdom, representing those shared with RRC and held in this inventory. 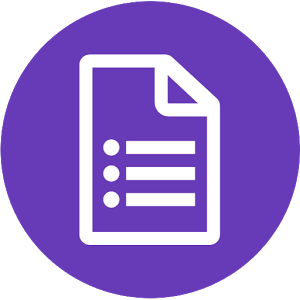 The NRRI contains detailed information on best practice case studies from across the UK. It also holds information on the projects that did not perform as expected. With this information we can learn from previous successes and mistakes to ensure that future projects succeed. On every project there is a description of the works undertaken or the technique used. For example there are 212 projects which have used deflectors. On older projects it may then be possible to locate and visit the site to see the effects that the chosen technique has had. In some cases the use of aerial imagery can also be interesting when looking at older projects. Being able to accurately estimate costs is becoming more and more important in the delivery of a project. The NRRI can provide cost information from over 2,000 projects. Cost information from the NRRI has previously been used to provide costs per metre for specific techniques. Through compiling and standardising costs from a number of projects we are able to produce an estimation of what the cost of a technique may be. Information from the NRRI is also available to students and organisations that want to identify and explore trends in river restoration. With decades of project information it is possible to interrogate many aspects of the NRRI, including the number of projects per year, techniques used and WFD status. To maintain and improve the best practice information available in the NRRI we need the help of agencies, organisations and trusts. Through uploading your project to the RiverWiki, or sending your project information to rrc@therrc.co.uk, you can ensure that the river restoration community has access to the best evidence base possible. 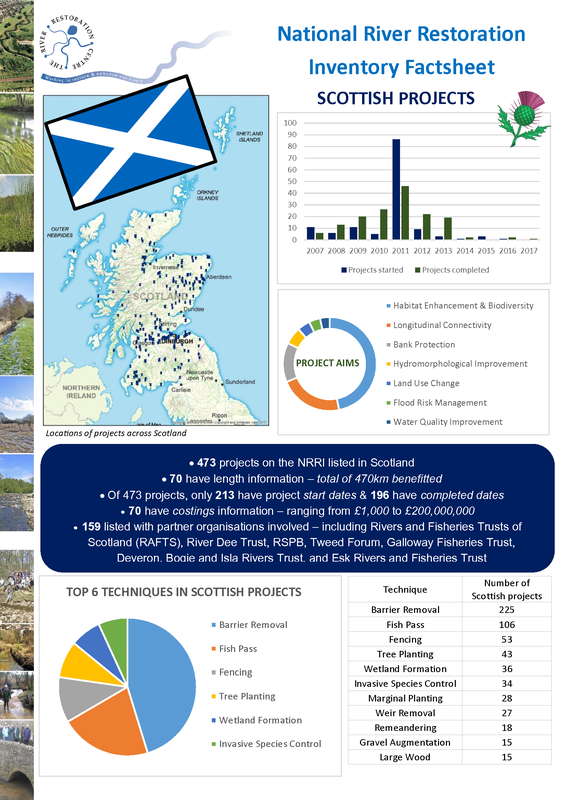 The more detailed information you can provide, the more use it will be to future catchment managers, landowners and any other individuals involved in restoring rivers in the UK. If you have any questions about uploading your project, please contact us.